I'm super excited to be sharing this sneak peek of Heart Home magazine's Winter issue ahead of the full launch tomorrow. Isn't this shoot a bright delight?! 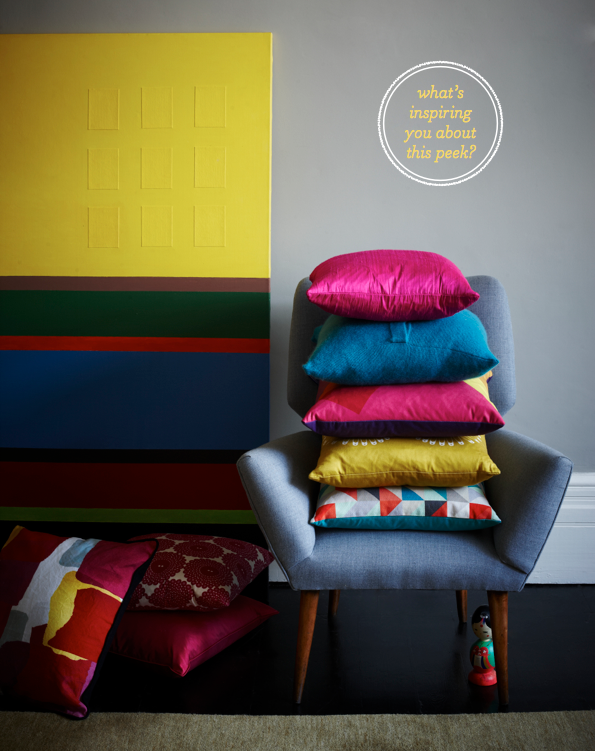 I'm in love with the sophisticated take on a multi-hued palette, which has been grounded by a chic grey base palette. The inspiring scheme has been expertly pulled together resulting in a balance between the three key elements - colour, pattern and texture. The mix of brights are tempered by sleek grey tones; the graphic patterns add visual interest and break up the individual hues; and texture is introduced through cable knit throws. Whilst yesterday's post on a multi-colour bedroom scheme felt ideal for the summer months, I think this is the perfect take on a similar palette for winter. What do you think, friends? Be sure to check out the full Winter issue of Heart Home magazine when it launches tomorrow. Wohoo....Thursday's inspiration is now secured. HHM is out tomorrow! 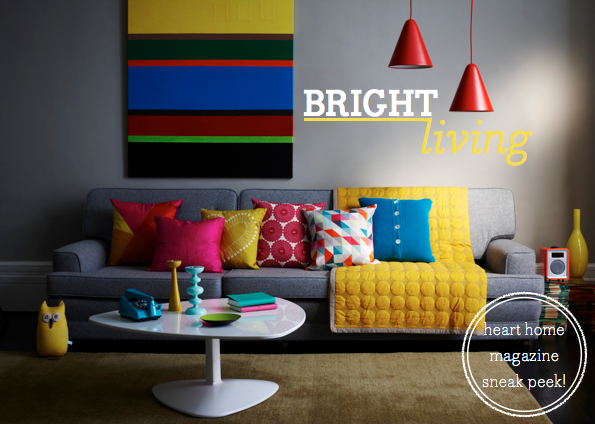 As Colourliving, what can I say? 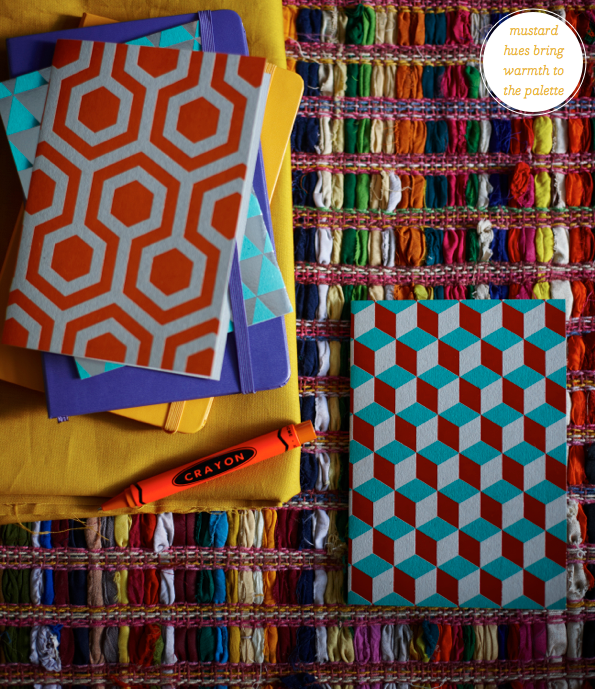 Colourful indeed, expertly matched against grey.. we love! so much fun! i love how the pictures all have a more moody look to them and yet the bright colors bring happiness, and add warmth to the space. Heart Home Magazine. ..Will have to check it out tomorrow!! This is a great post; it was very informative. I look forward in reading more of your work. Also, I made sure to bookmark your website so I can come back later. I enjoyed every moment of reading it. Wow....I can't find words! :) THIS is my cup of tea! I want them all. Now! Another great and inspiring post!I love it! i just love bright pops of color against grey!! Can we get the mag in the US-love it! 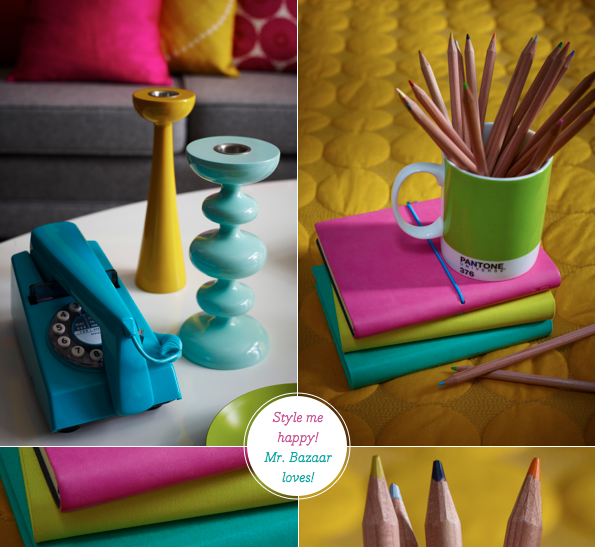 Lovely color combinations, I like everything about these photos! 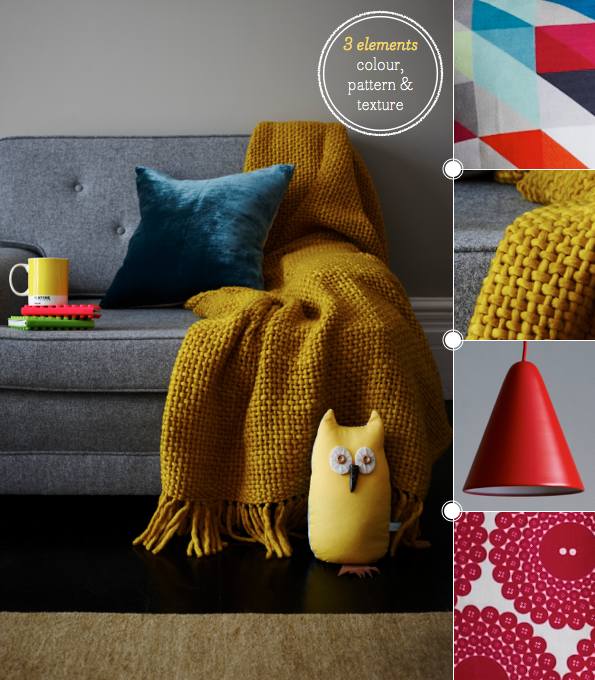 Gorgeous - the mustard throw has my name on it!